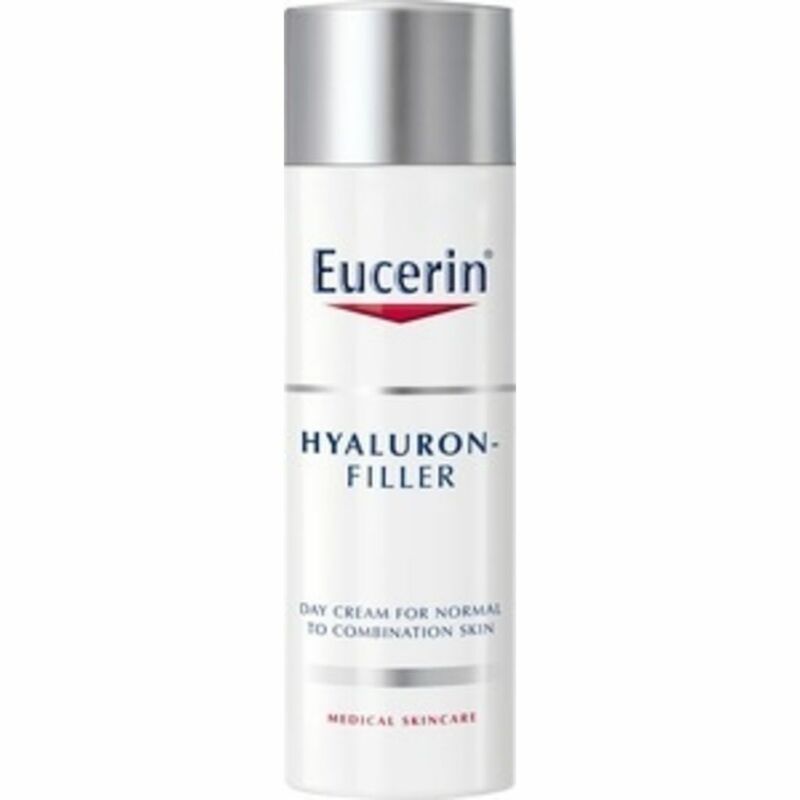 Eucerin Hyaluron Filler Dagcreme N/K er velegnet som hudpleje til normal og kombineret hud. 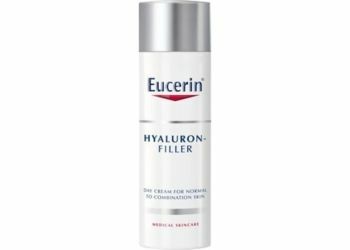 Eucerin Hyaluron Filler Dagcreme N/K fugter og beskytter huden mod solens stråler med solfaktor 15. Eucerin Hyaluron Filler Dagcreme N/K efterlader huden fugtet og med en flot og jævn glød. Er velegnet som base til makeup. Aqua, Glycerin, Dicaprylyl Carbonate, Ethylhexyl Salicylate, Octocrylene, Cyclomethicone, Butyl Methoxydibenzoylmethane, Methylpropanediol, Alcohol Denat, Bis-Ethylhexyloxyphenol Methoxyphenyl Triazine, Cetearyl Alcohol, Aluminum Starch Octenylsuccinate, Glycine Soja Germ Extract, Dimethicone, Sodium Hyaluronate, Methyl Methacrylate Crosspolymer, Acrylates/C10-30 Alkyl Acrylate Crosspolymer, Ammonium Acryloyldimethyltaurate/VP Copolymer, Carbomer, Sodium Stearoyl Glutamate, Dimethiconol, Sodium Chloride, Trisodium EDTA, 1,2-Hexanediol, Phenoxyethanol, Parfum/aroma.